What if you could earn an extra $500/month from home? What would that do to your current lifestyle? Maybe it would allow you to eat out once or twice a month at a fancy high end restaurant. Maybe you could use the money to take a mini weekend vacation somewhere. Or maybe it would allow you to feel less stressed about paying the monthly bills. $500/month can go a long way so today’s article will share with you several ways it’s possible for you to earn this extra income each month. Are you ready to start your next side hustle? You may have seen this countless times before reading other blogs and here it is again #1 on my list! 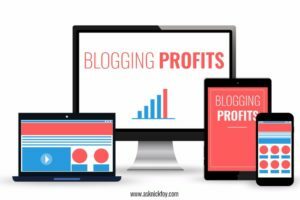 Starting a blog has been one of the best choices I’ve made and can be a great income source. A blog is a simply a tool that is used to get the attention of people just like social media and other tools online marketers use. Once you have someone’s attention, you need to send it somewhere that allows you to make money whether it’s to an email opt-in page to get them to join your email list or to a sales page where you pitch a product. How do you make an extra $500/month from a blog? Let’s assume you are doing sponsored posts. If you can charge $100 per post and you post 5 times during the month, you’ll earn $500. Not bad! Or perhaps you write a blog post that promotes a $500 product of yours and this blog posts gets viewed 300 times per month on average. If you convert just 1 person out of the 300 monthly visitors into buying your product then you can make $500 per month. But first you need a website to make this all possible so here is my free 7 day email course to get you set up with a professional blog ready to make money. Writing for your blog is a lot of work and it’s free content you’re publishing so you’re not making money directly from the content you write itself. Why not monetize it? You can take current blog posts you’ve written and re-purpose them into a book with chapters that you sell. People love premium content such as eBooks and courses because it’s well organized and put together saving them hours of having to research for free content in a hundred different places online. Action Tip: Look through all your current blog posts and think about how you could group some of them together into an eBook. You will have to do some editing to make it all flow, but you’ll save time from coming up with brand new content all over again. If you don’t have a blog, no worries! You can write content from scratch that you’ll format into an eBook and sell. Where do you sell your eBook? Two places to sell your content include Amazon and your blog. With Amazon you’ll need to sign up for a free Kindle Publisher account and upload your Microsoft Word document that contains your eBook so Amazon Kindle can format it into an eBook for you. You’ll get to preview it and make sure it looks professional before you finalize your self-published eBook and send it to their store for sale. Amazon pays you either 30% or 70% depending on the price of your book. Ideally, you’ll need to price it below $9.99 to get the 70% commission rate. When selling your eBook on your blog, you’ll need to host your eBook on a third party shopping cart site like SamCart or eJunkie that can collect payments for you and then distribute your downloadable eBook once someone purchases it. This makes it hands off for you so that you don’t have to manually email the book to every customer! All you have to do is drive traffic to your store page or sales page and track how well it converts people into paying customers! How do you make an extra $500/month selling eBooks? 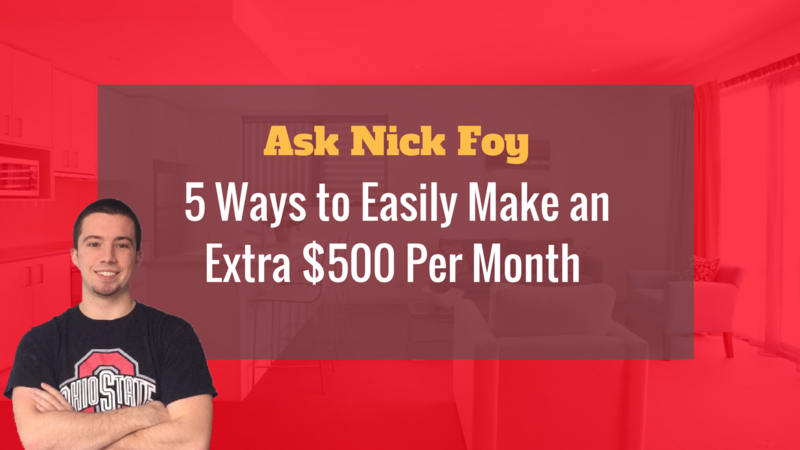 To make $500/month, you’d likely need to sell 50 to 100 copies of your book per month. This may sound like a lot but consider how many thousands of people there are who may see your eBook for sale on your website or on Amazon each month. You only need a small percentage of them to convert into paying customers. Do you love making things? Great! You can set up an online shop thanks to platforms like Shopify and WooCommerce that allow you to sell the things you make and reach thousands of people online. Think of what type of product you could create to sell online, whether it’s a physical product or a digital product like a training course. Then set up your store using either Shopify or WooCommerce as mentioned, upload photos of your products and price your products. Once someone purchases your product, you’ll be notified via email and can mail out your physical product or do nothing if it was a digital product that they automatically get taken to the download page upon purchasing. If you’re selling digital products, like a training course, you can price them anywhere from $10 to $500! Once you set your price, you’ll be able to figure out how many sales you’ll need per month to hit your goal of $500/month. How do you make an extra $500/month selling your own products? Example: You recently spent 3 months building a high quality traning course and decided to price it at $97. Looking over your website traffic you see that you have roughly 1,000 people stopping by your website each month. As a rule of thumb, you expect 1% of this traffic (10 customers) will decide to buy your product. How much money do you expect to make? It comes down to traffic and conversion rates. You could have 500 people visit your website each month and maybe 50 of them purchase giving you a 10% conversion rate. Or you could have 1,000 people and only 10 customers (1% conversion rate). The two metrics go hand in hand so work hard to not only increase your traffic but also your conversion rate if you want to be successful as an online business owner. Learn how to get traffic to your products, blog, and email capture pages using Pinterest! One of the most common ways people get started earning a living online is through affiliate marketing. It is a confusing strategy to understand at first so I’ll try to explain it with the following example. Let’s say you have a blog and your blog gets 10,000 people stopping by each month to read your articles. In order to make money off this traffic, you could promote someone else’s product and earn a share of each sale that resulted from you. You’d first need to determine what products relate to your blog and audience. Promoting a training course on babysitting probably wouldn’t be relevant to your blog that talks about health and nutrition. Instead, you’d want to find a health and nutrition expert who has an awesome training course you could promote to your audience. Let’s say Jen has a 90 day course that costs $100. You email Jen and ask her if she has an affiliate program for her 90 day course that you could sign up for and promote to your audience. Jen responds that she does and she sends you a special link that’s just for you so that her shopping cart system knows the customer was sent from your website via this special link. If her affiliate payout rate is 40%, then you would make $40 for every customer you send to her that purchases her $100 course. Make sense? It’s someone else’s product, but you are still earning part of the sale since you helped to sell it for them. It’s a win win for both of you because Jen might not have made a sale to that customer if it wasn’t for you making the customer aware of Jen’s course. How do you make an extra $500/month through affiliate marketing? To make $500 in this case, you’d need to be responsible for roughly 13 sales each month if you’re getting paid $40 for each sale. If you assume 1% of the people who see your affiliate promotion end up becoming customers, how much traffic do you need to have to achieve 13 sales? If you can drive 1,300 people to this product, and 1% of them end up purchasing, you’ll make roughly $520/month! There are lots of jobs that can be done online today which opens up opportunity for people to become virtual assistants and work from the comfort of their home office. How to make an extra $500/month as a Virtual Assistant? You could make $500/month a number of ways..
As you can see, earning an extra $500/month from home is definitely possible! There are thousands of people doing so every month and doing so in many different ways. Speed up your success by following some of my resources below. You don’t need to try to reinvent the wheel or make the same mistakes many beginners make trying to do it all on their own!